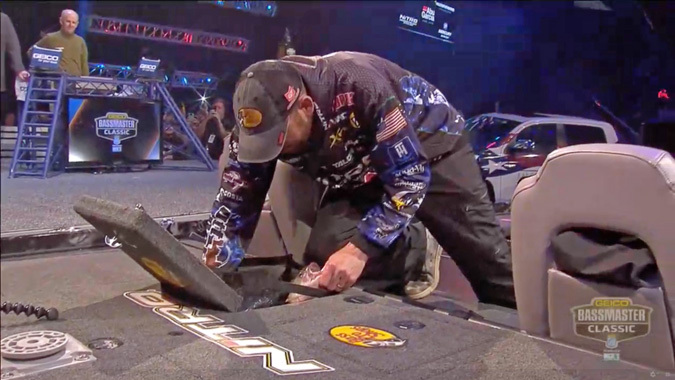 Congratulations to Ott Defoe on his great Bassmaster Classic win Sunday 17 March 2019. 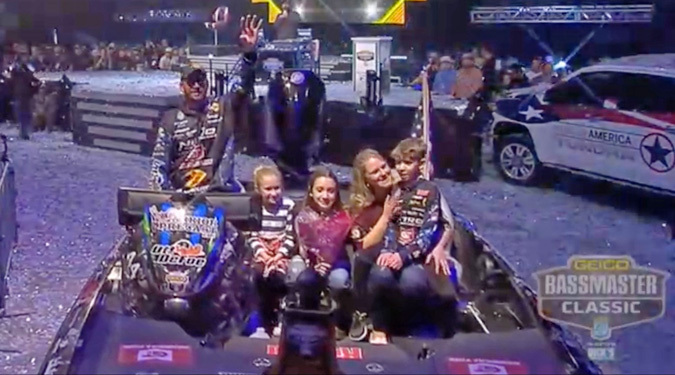 We screen captured the image of him and his family below as they began the parade around the arena from Bassmaster’s live coverage. Congratulations to Nitro to putting their boat in the winners circle and to Mercury Marine for powering this year’s winner. Thanks to all who participated in this great event, anglers, friends, family, fans, and the city of Knoxville Tennessee for providing great facilities and for turning out in record numbers (we heard 153,000 over the weekend). 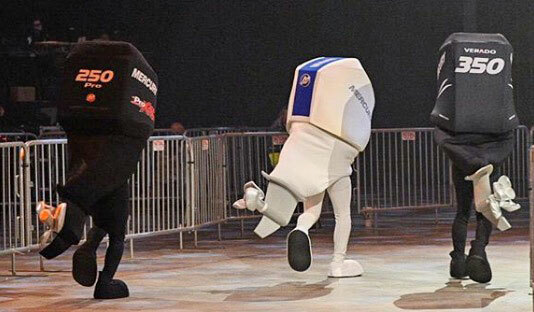 We clipped the great photo below from The Leash’s Facebook feed. 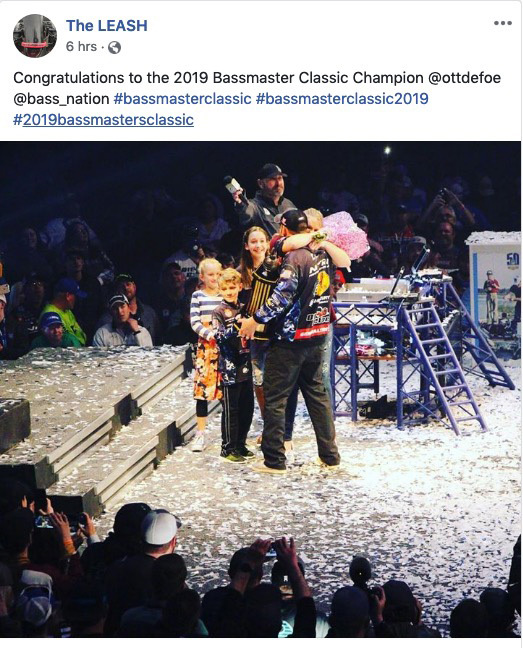 Ott Defoe & family clip from The Leash’s Facebook feed as he won the 2019 Bassmaster Classic.